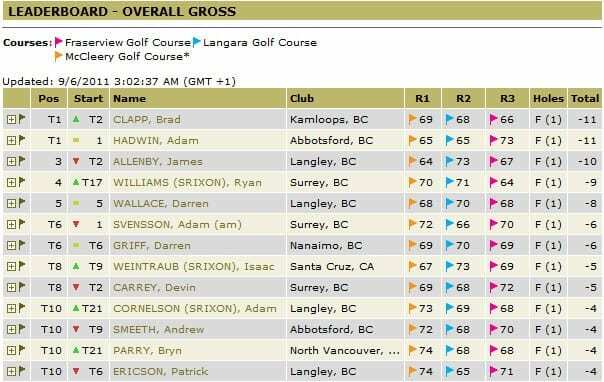 Afther 36 holes, The 2011 Paine Edmonds Vancouver Open looked like it was going to be a what could have been a total blow-out into one of the most dramatic finishes professional golf tournament history! 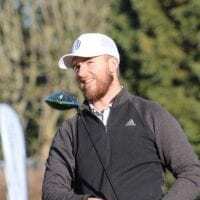 Brad Clapp played outstanding golf in the second last group, putting the pressure down (along with 3-4 others-Allenby, Wallace, Williams) to the point of tying it on 15, and then after Adam Hadwin bogeyed 16, Clapp walked down 18 with a one shot lead! 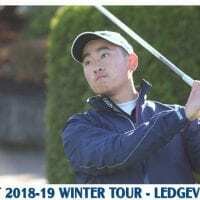 He would play an errant 5-iron shot on the Par 5 18th that caused him to have a very difficult chip, and a par left him at -6 for the day and -11 for the tournament. Meanwhile, with darkness less than 30 minutes away, Hadwin just pumped a drive to 180 yards from the stick, then hit this towering mid iron that came to rest 5 feet from the hole, setting up an eagle try that he would miss. Back down 18 for a sudden death playoff, and Hadwin reached greenside in 2, pitched to 3 feet and drained it for the win after Clapp would fail to get up and down from 100 yards on his for his birdie, and Hadwin was claimed the Van Open Champ for the second time in a row!